After every workout in the gym if you are so tired that it is difficult to spend the rest of the day, make your friendship with chocolate milk. Experts say that drinking chocolate milk after work out gives you more power and energy to the body. For the health it is very better other than artificial energy drink. Prepare and drink homemade chocolate milk rather than street chocolate milk. Mix a little chocolate syrup in a glass of milk. Drink chocolate milk after three weeks of work out and you will find your body becomes strong. 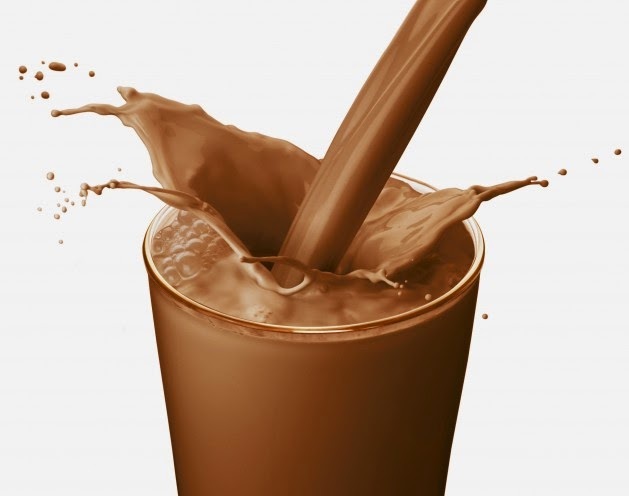 Chocolate milk has protein, calcium and carbohydrates which are used by professional swimmers and runners. Full of protein: Drinking a cup of chocolate gives you 8-11 grams of protein which would be helpful in making the strong muscles and power. It generates the defective cells. It has protein which gives strength to the muscle. Carbohydrate content: Chocolate milk has carbohydrates which is good for health especially when you lift heavy weight. Because of carbohydrates you can work out in the gym with more strength. It has sugar which boosts the energy. Healthy Drinks: According to experts, you must have to drink healthy drink after heavy workout. Chocolate milk is not only full of health nutrition but also has very few calories. Full of calcium: Chocolate milk is full of calcium. It reduces muscle tension. Full of health benefits: Chocolate milk is drunk by professional swimmers and runners. Runners prefer to drink it after running. They charge easily and it helps them to recover. The effect of drinking chocolate milk remains for long hours. Increase Patience: If you are thinking to take part in a long race then you should start now to drink chocolate milk. This drink will give you power and energy. Makes Strong: This drink gives you power and strength. If it is drunk by after three weeks of workout then it will change your body. If you get tired after swimming or running then you must have to drink it.